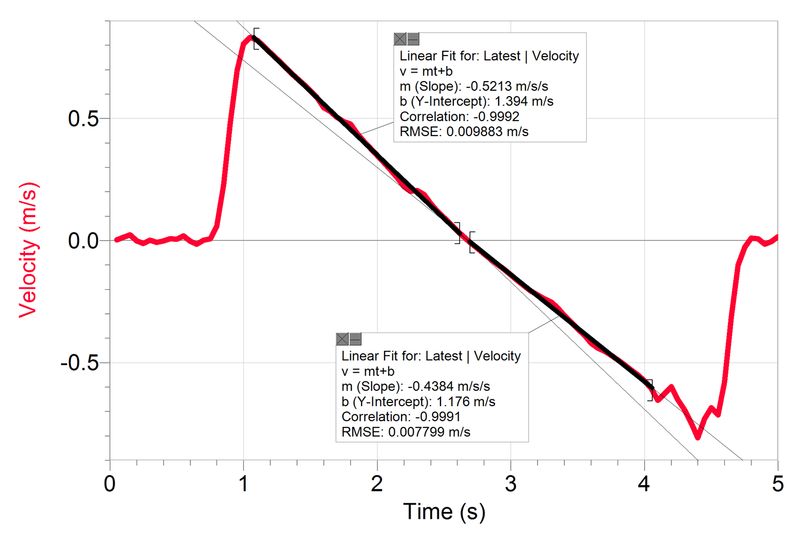 AP Physics C: Here’s the velocity-time graph for a fan cart that received a brief push from my hand, then slows down as it rolls away from me, picks up speed as it rolls back to me, then is stopped by my hand. Notice that the acceleration while the cart was rolling away from me is NOT the same as the acceleration when it rolled back. This is because friction is not negligible and changes direction. 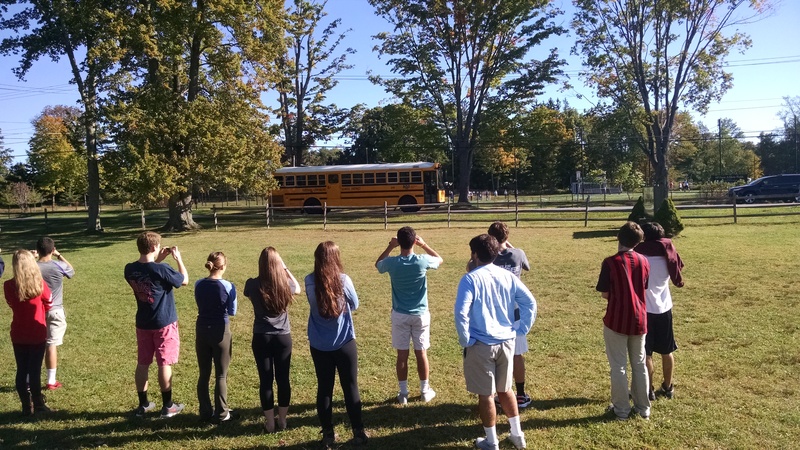 A free body diagram for the away and return trips will show you how. Later, we’ll create a model in VPython and check our model data against our laboratory data. 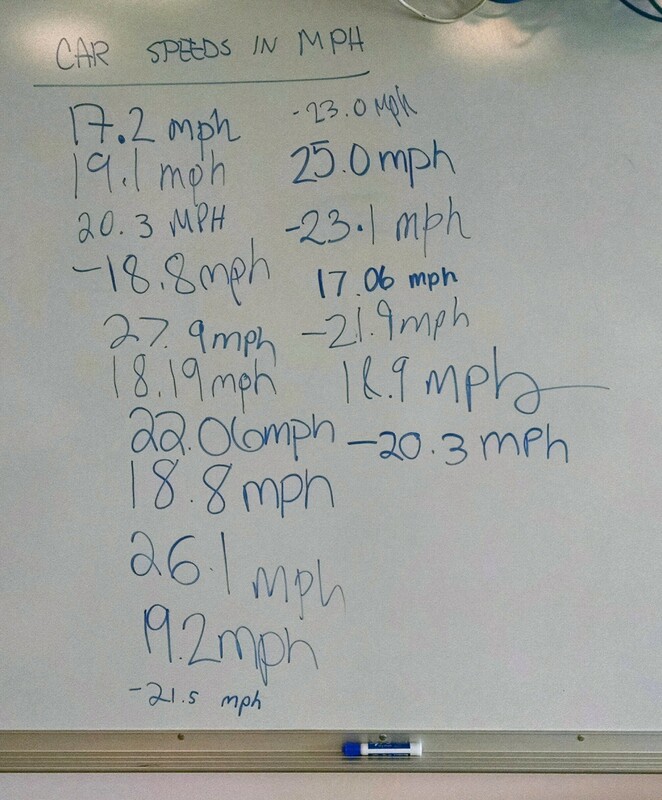 College-Prep Physics: One student is looking at the relationship between the speed of her car and the apparent shift in the frequency of the horn. She used her iPhone to video her dad driving the car and honking the horn (yay for parental involvement!). Then in school, she played back the video on her phone and held a Vernier microphone to the iPhone speaker. 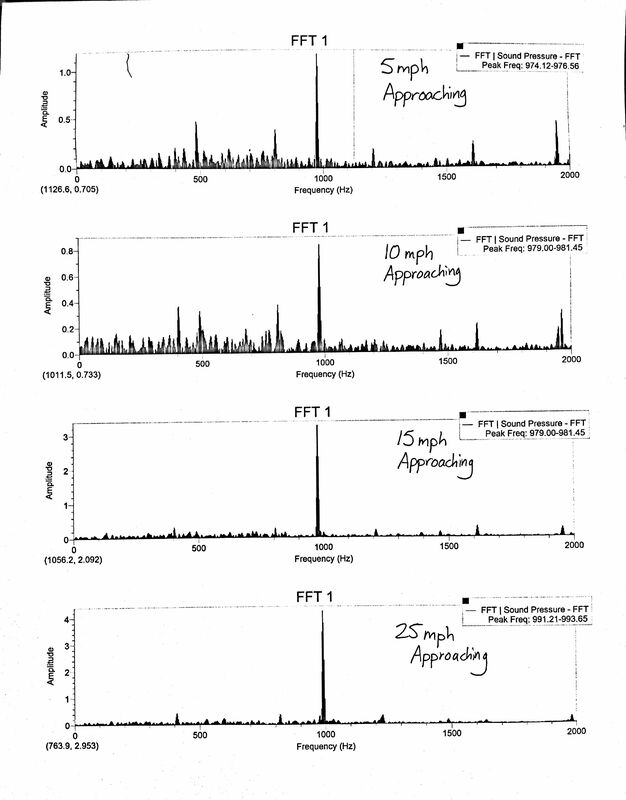 Looking at the FFT graphs created by LoggerPro, she was able to see the shift in pitch at various approaching and receding speeds. 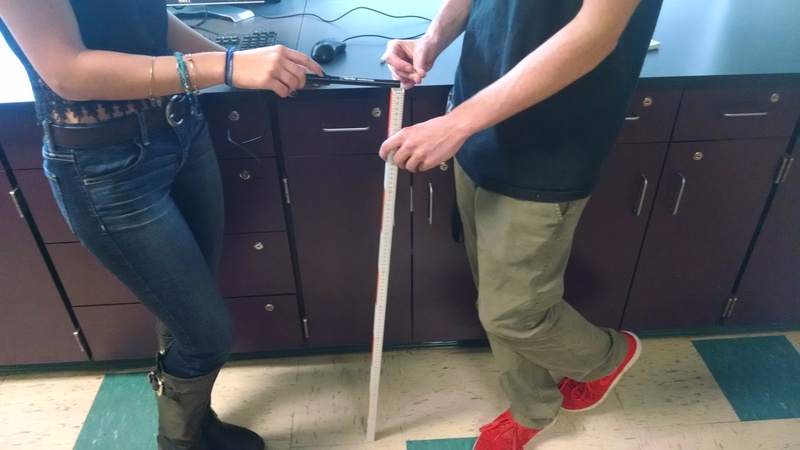 TIP: We used the LoggerPro template file called “Mathematics of Music” found in the “Physics with Vernier” folder. 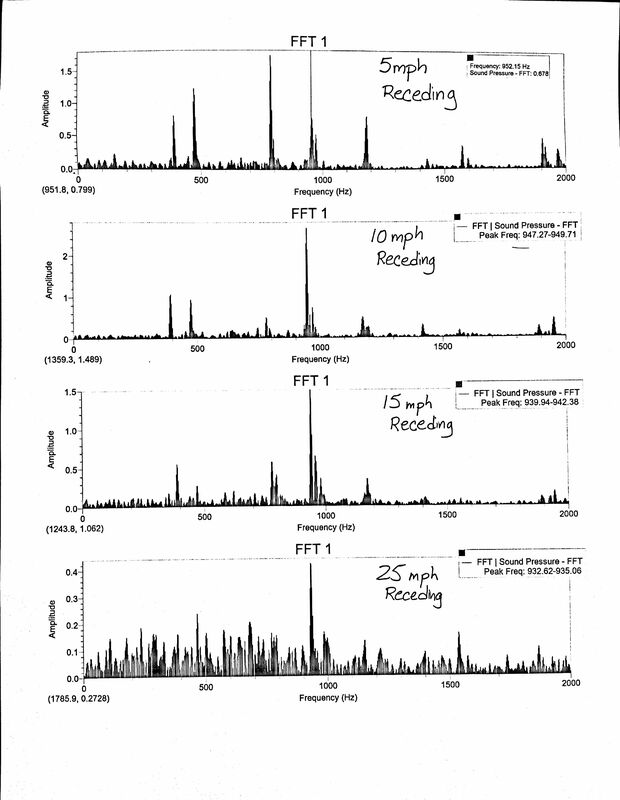 The FFT graph will display the whole spectrum and indicate the peak (loudest) frequency. However, we found that sometimes, depending on the exact moment when we sampled the horn, the different frequencies in the horn’s spectrum were the peak frequencies, even though all the same frequencies were present on repeated samplings. 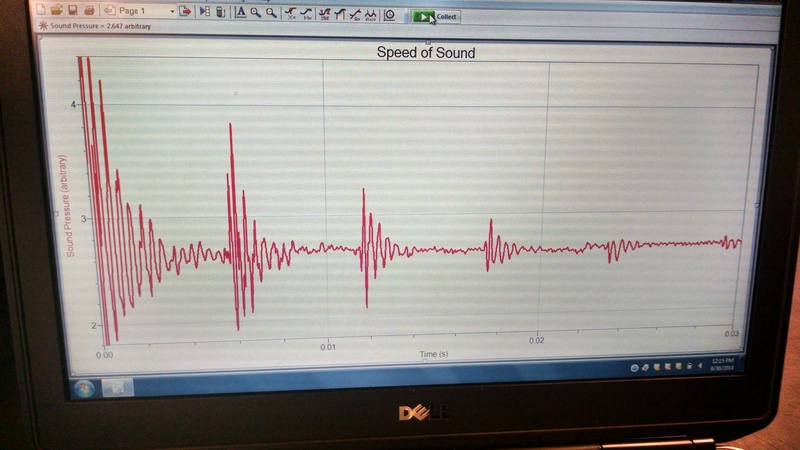 We discovered this because the student was originally looking solely at peak frequency and was finding an inconsistent pattern between car speed and pitch. So I helped her out and looked at her data. By looking at the whole spectrum (rather than just the peak frequency), we could see see the “fingerprint” of the horn. Then we could map the shift in the “fingerprint” for different speeds.